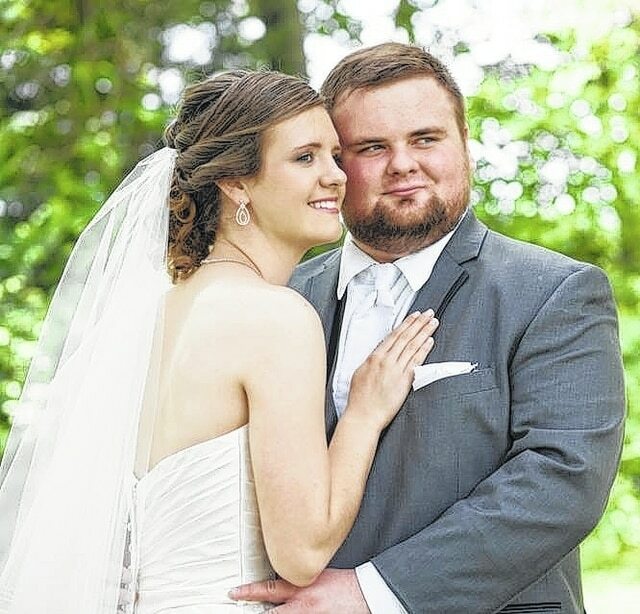 Katelyn Suzanne Finney and Tyler Adam Roberts were married in Kumler Chapel, Oxford, on June 6 at 5:30 p.m. by Rev. Howdie Burnett. The bride is the daughter of Dave and Kathy Finney, Urbana. The groom is the son of Troy and Kendra Roberts, Urbana. Maid of honor was Christy Finney, sister of bride, Urbana. Bridesmaids were Olivia Roberts, sister of groom, Urbana; Nicole Haines, friend of bride, Urbana; Sarah Blumberg, friend of bride, Loveland; Staci Richardson, friend of bride, Beavercreek; Katie Wright, friend of bride, Mason. Best man was Ernest Pido, friend of groom, Mount Vernon. Groomsmen were Raymond Howarah, friend of groom, Beavercreek; Christian Robbins, friend of groom, Urbana; Jesse Robbins, friend of groom, Urbana; Logan Frost, friend of groom, Urbana; Marc Salisbury, friend of groom, Urbana. A reception was held at Hueston Woods State Park Lodge. The couple are living at 1352 N. Chippewa Drive, Greenville. The bride graduated from Urbana High School in 2010 and from Miami University in 2014. She is employed by Darke County YMCA, Greenville. The groom graduated from Urbana High School in 2010 and from Miami University in 2014. He is employed by Darke County YMCA, Greenville.